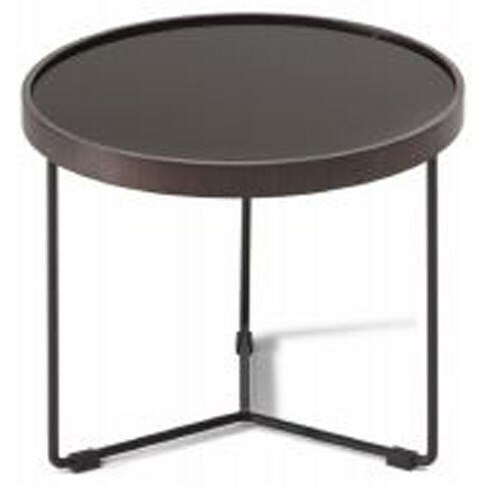 Accent your living space with this modern accent table. The round top and metal frame convey a sleek and simple look. The table top of this piece is available in three styles: Dark Emperador marble, Bronze finished glass, Tobacco Oak wood. The Novello Round Accent Table by Natuzzi Editions at HomeWorld Furniture in the Hawaii, Oahu, Hilo, Kona, Maui area. Product availability may vary. Contact us for the most current availability on this product.